If you are looking to improve SEO of your Magento store to be easily found by Google (and other search engines), you’re in luck: the platform is designed to be on-page search engine friendly by design. You don’t need to do much, so long as you have done proper housekeeping – so let’s review the common missteps to avoid on your live website. Our SEO recommendations for Magento websites come in two flavors: Content and Technical. Let’s take a look at the Content SEO part first. Descriptive page titles improve your SEO visibility, providing more and better targeted traffic. Write a few keywords related to your products but without overdoing it, for example a page with “Eastpak Out of Office Black” backpack should be titled “Eastpak Out of Office Black Polyester Laptop Backpack” to better match possible search keyword combinations. In general, start the title with the most important keyword phrase and keep it to 70 characters or less. Similar to Page Title, the Meta Description displays in search results, so it should contain 160 characters or less with 3 or 4 of the page’s top keywords, expanding on the title further. The Meta keyword is almost not considered by the search engines that can also be used to beef up SEO. It should be around 200 characters and is a great place to include common product misspelling as this text is indexed by the search engines, but is never displayed to the users. Customers will find your products using many different search terms, so you should have about 300 words of text per page to include the most common ones. Use not only model numbers and brand names, but also don’t be afraid to wax poetic about the benefits and ideal customer in your product descriptions and subheadings for a SEO boost. Just make sure you are still being accurate and focused on the ideal uses (weather, activity, season) and advantages (ease, size, shape, functionality, etc.) that customers may consider when comparing your products to the alternatives. Images with descriptive text are important for ranking by the search engines. Magento uses product names for images by default, but you should also consider editing tags to get more specific. Regardless of how you feel about it, by selling a specific product and interacting with customers you become an expert in that particular field. By answering questions your prospective customers may have you are not only building your store’s credibility, but improving its SEO score and driving new Organic Search traffic. Many Magento blog plug-ins are available, so consider having one installed and write 1 post with 500-1000 words weekly. Make sure you establish business accounts on social networks relevant to your target audience. You’ll be able to benefit from word-of-mouth when making promotional announcements and special offers for people who connect with you and increase your competitiveness for relevant keywords. Over the years we have seen issues both that can be classified as both overlooked settings and mistakes due to complex store architecture. We mention the most obvious Magento SEO missteps – although they were not so obvious until they got noticed! Magento CMS homepage title is “home” by default, so make sure to replace it with the name of your brand. Don’t have “Magento Commerce” as your website logo title. As with Home Page, this should be replaced with your brand’s name. The HTML Head’s Default Description, on the contrary, is not – and shouldn’t be – set for a reason. Avoid duplicate descriptions on your store that don’t really describe the given URL that it will be unbelievable. If you have products that appear in more than one category by default Magento will duplicate its description in the category. To avoid this negative SEO hit, go to Configuration > Catalog > Search Engine Optimization and change the “Use Categories Path for URLs” setting from “YES” to “NO” and enable the two “Canonical Link Meta Tag”. By default, Magento adds identifier store codes to URLs. They may be useful to store owners, but at best add no value to your customers and distract them at worst. Go to Configuration > Web > Search Engine Optimization and set the “Add Store Codes to URLs” option from “YES” to “NO”. Every page should ideally be no more than three clicks away from Home. Check your sitemap.xml before submitting it for indexing to make sure no test or sample pages are listed there. An XML sitemap is used by search engines use to crawl your content. Make one to ensure no inner page without one. Navigate to Catalog > Google Sitemap and either define the pages manually or generate them automatically. Hopefully, for Go Live your developer has not forgotten to change the “noindex, nofollow” setting the wall that keeps the web crawlers from indexing your website. Double-check by going to the System > Configuration > General > Design > HTML Head and setting Default Robots to “INDEX, FOLLOW”. Once you have set up your Magento store you’d want to track how successful you are. Google Analytics will not just reveal where customers come from to your store and what they do once there, but also show you which search keywords are associated with your store. Even if you are not planning to use Google Analytics immediately, have it set it up as soon as you can to tracking you SEO progress. 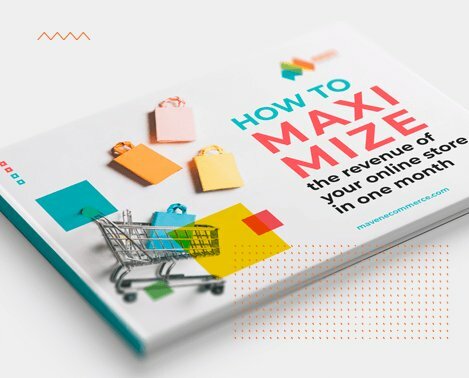 Spending some time and effort into getting Magento SEO set up properly is one of the cheapest and easiest ways to grow the number of your customers and your revenue. Getting to “the first page of Google” does not happen by mysterious magic, but by creating quality content and proper technical setup. Don’t hesitate about making that investment in your store’s long-term success. Feel free to contact us to evaluate your Magento website’s SEO in detail and to suggest and estimate possible improvements.